The Porcelain Fluted Cup & Olive Leaf Charger Set serve as both functional and decorative pieces. 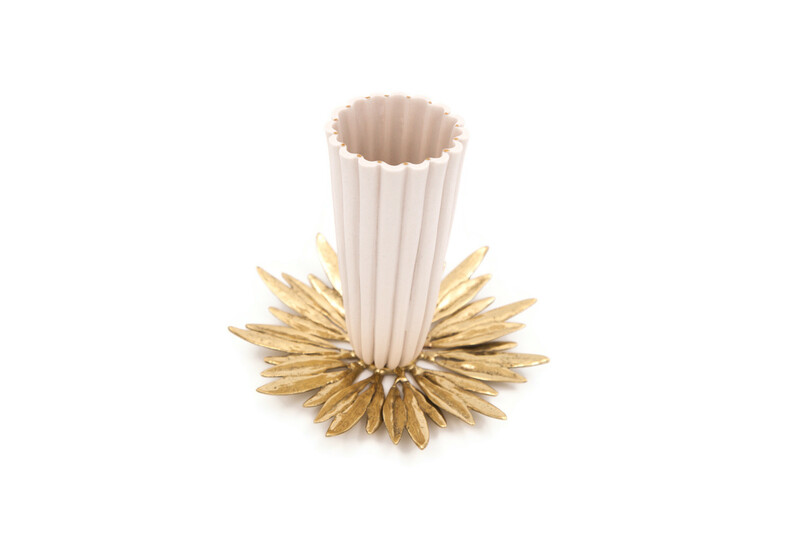 The creamy porcelain fluted cup can be used for serving dessert, sorbet, espresso or green tea. It also works beautifully as a single stem vase. The olive leaf mini charger plate is made of solid brass and serves as a beautiful saucer when paired with the fluted cup or one of our nesting bowls. 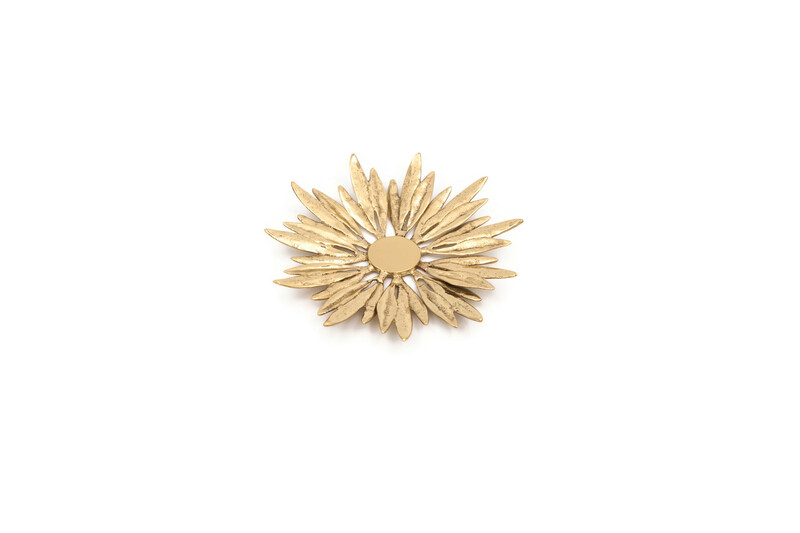 These exquisite sculptural pieces are meant to be delicately held and treasured. This set comes beautifully packaged in our exquisite Gift Box. The Porcelain Fluted Cup & Solid Brass Olive Leaf Mini Charger Set serve as both functional and decorative pieces. 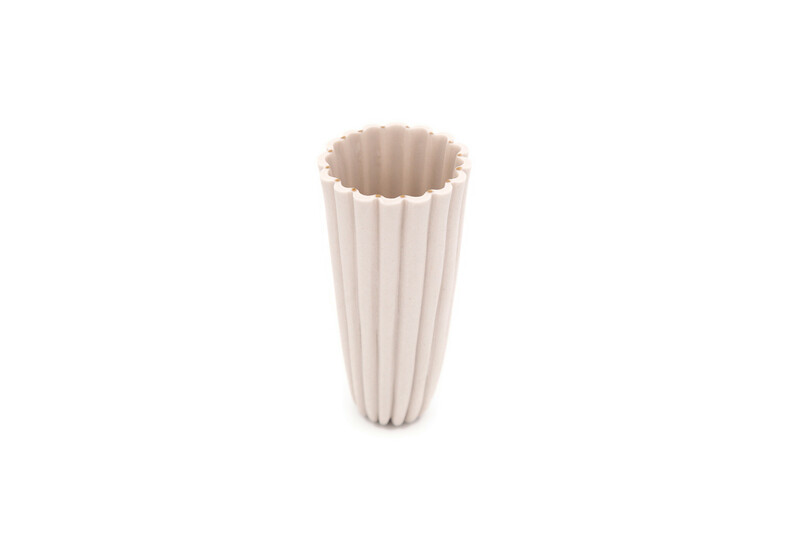 The creamy porcelain fluted cup can be used for serving dessert, sorbet, espresso or green tea. It also works beautifully as a single stem vase. The olive leaf mini charger plate is made of solid brass and serves as a beautiful saucer when paired with the fluted cup or one of our nesting bowls. These exquisite sculptural pieces are meant to be delicately held and treasured. This set comes beautifully packaged in our exquisite Gift Box.